That day the six groups and the quarter-final crosses of the new Davis Cup format will be drawn. David Haggerty and footballer Gerard Piqué will attend the event. 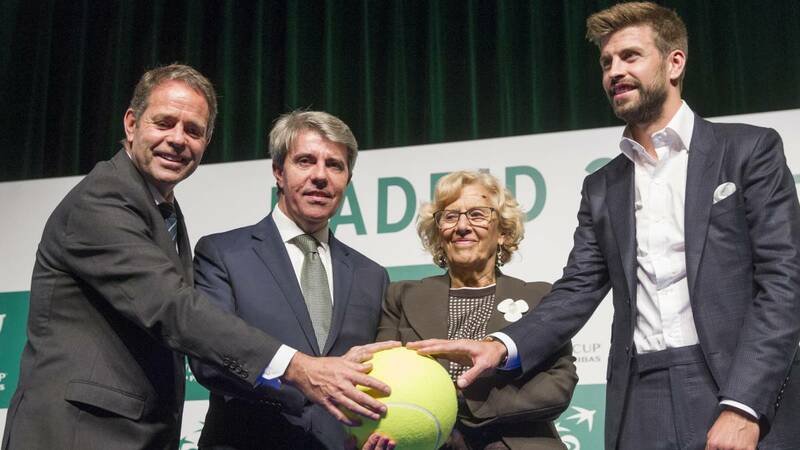 The draw for the final phase of the Davis Cup, the first with the new format proposed by the Kosmos and Gerard Piqué group, will be held on February 14 at the Real Casa de Correos de Madrid. The act will attend, together with the mayor of Madrid Manuela Carmena and the president of the Community of Madrid Angel Garrido, the president of the ITF, David Haggerty, and the footballer Gerard Piqué, main promoter of the new format of the tournament and president and founder of the Grupo Kosmos. In this draw, it will be decided how the 18 countries that will participate in the tournaments in 6 groups of three will be decided, and the quarter-final matches of the tournament (to which the winners of each group will go and the two seconds with best percentage of sets, games and points won) in the final phase to be held at the Magic Box from November 18 to 24. The first two classified will be the finalists of the 2018 edition, while the seeds of the 3 to 6 will be determined by the Davis Cup country ranking of next Monday, February 4. This weekend will be known 18 countries that participate in this final phase, since 24 countries are facing for the remaining 12 places. Croatia, France, Spain and the United States (the four semifinalists of the Davis Cup 2018) and Argentina and the United Kingdom (as guests) have already confirmed their presence at the Madrid event.